Sarwat Gilani is a popular Pakistani actress, model and voice actress. The nice looking actress already acted in lots of popular television dramas and several hit film. Sarwat Gilani has drawn the attention of fans and critics within very short time by her outstanding performance. Sarwat Gilani was born on September 9, 1982, in Karachi, Pakistan. Her curly hair adds extra nice look in the face that helped the actress to draw director’s attention. She studied at Indus Valley School of Art and Architecture, from this institution, she completed graduation degree in Communication. 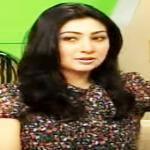 Then Sarwat took master’s degree in Art of Film Making from the same institution. She was not so passionate about media arena from early life like another actress, however, later she turned herself into a successful actress in the Pakistani showbiz industry. Sarwat Gilani kicked off the journey in the showbiz industry working as a fashion model. In 2009, she made acting debut with the romantic comedy drama ‘Azar Ki Ayegi Baraat’ directed by Marina Khan. 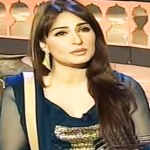 In early career, Sarwat used to perform for the minor role in television drama. Then the actress appeared in the drama serial ‘Saiqa’ for the leading role and showed off a terrific performance in the drama eventually got the positive response from the fans. 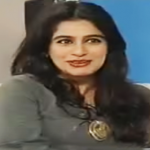 Sarwat played a big role in the drama serial ‘Meri Zaat Zarra-e-Benishan’ which aired on Geo TV. Sarwat Gilani acted in some telefilm including Shadi Aur Tum Say? and Dil Mera Dhadkan Teri. She made debut in the film industry with the movie ‘Jawani Phir Nahi Ani’ opposite Vasay Chaudhry in 2015. Sarwat Gilani married Omer Saleem but the relationship split out within short space of time, they got divorced. Then the actress married fellow actor Fahad Mirza in August 2014. Sarwat gave birth to a son named Rohan Mirza in 2015.